Is your life getting in the way of your business and your success? Ever feel like it just isn't the right time to have a business because you just have too much to do? This episode of Team ELITE TV is for you ... 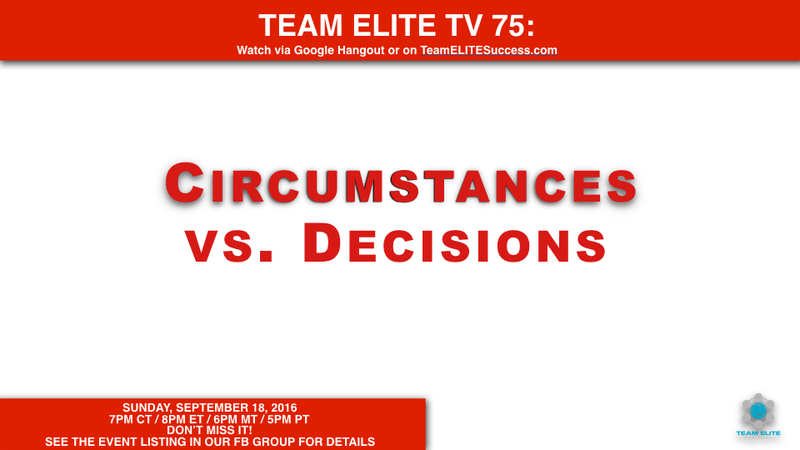 Circumstances vs. Decisions.